One of the things I absolutely love about Austin is the music! Although I don't get out much because I have little ones, I enjoy hearing live music when I can. I also enjoy playing music with my husband when we get the chance. 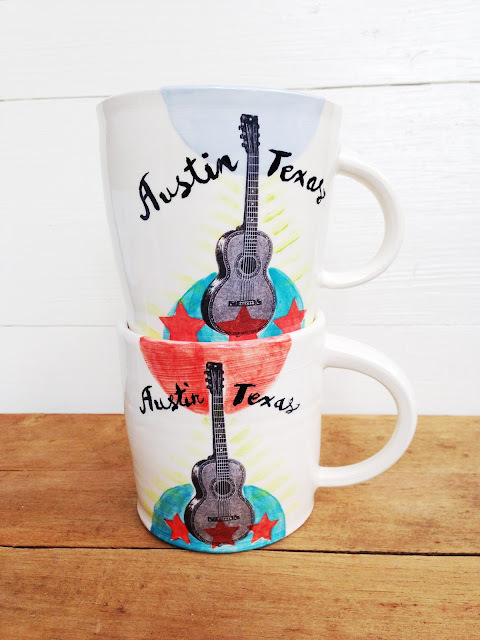 So these mugs were designed for my love of music and they celebrate the spirit of the Live Music Capital of the World! I've been busy in my studio creating work for the upcoming Blue Genie Art Bazaar. I have a ton of cat and owl vases and a variety of mugs drying on my shelves! 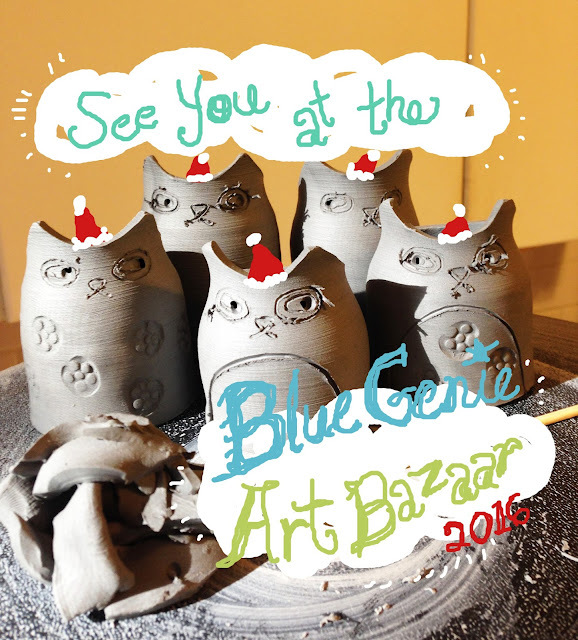 Recently found out I've been accepted to the Blue Genie Art Bazaar for the 2016 holiday season! 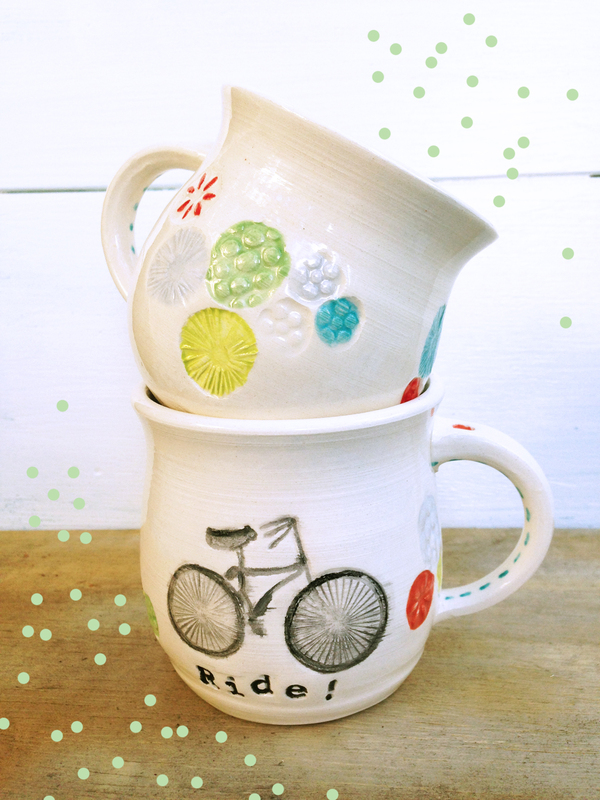 Very excited about this. 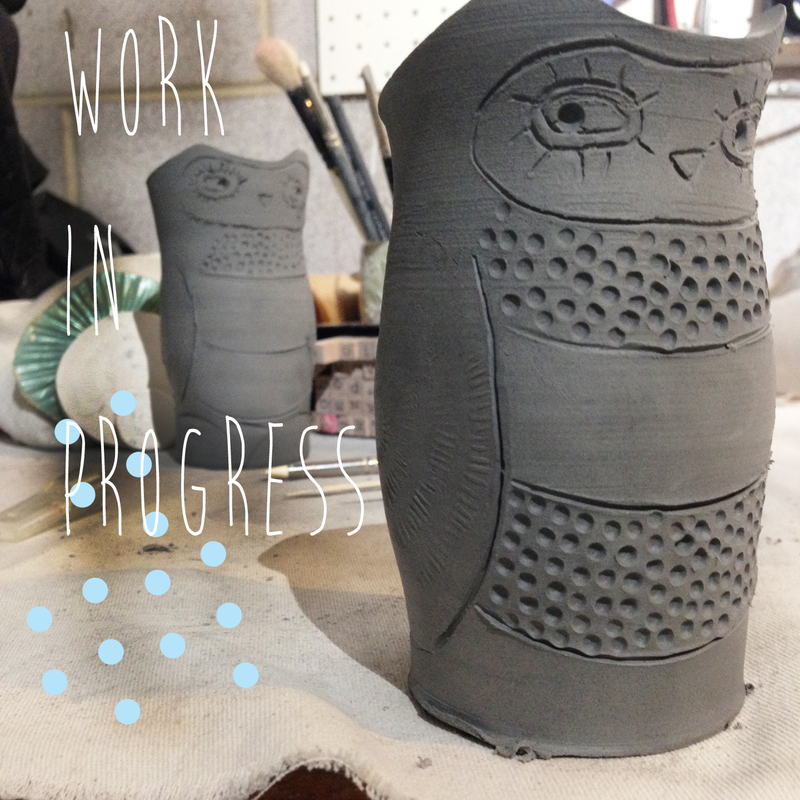 Working on some cat bud vases/jars.